Today,thousands of responsive wordpress themes are being released every year and you know,it’s really hard to choose the most appropriate theme for either your business or organization.If you don’t want to design your own custom theme then there are a few things you must consider when deciding your premium theme.First of all it must suit your business,second it must be functional and easy to use and last it must be a trendy theme like responsive design and flat design.Yes,flat wordpress themes are the most popular trend nowadays in web design industry so in today’s post we have gathered responsive and flat design business wordpress themes for you. 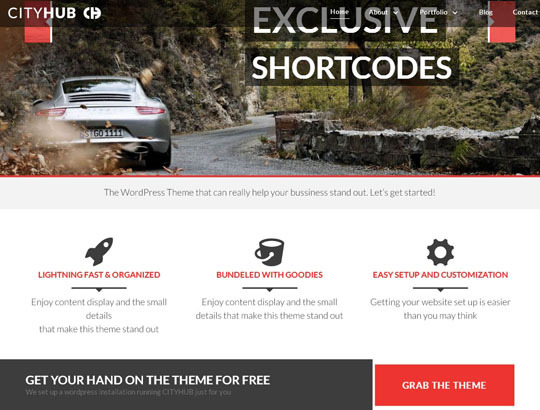 Here is the handpicked selection of flat wordpress business. 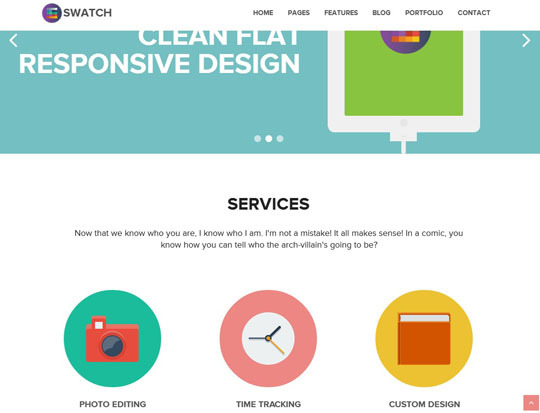 Swatch is a flat, super configurable and fully responsive WordPress Theme. Swatch takes the new “Flat Design” philosophy and puts you in control of how the theme can look as much as possible.The most important parts of the theme are “Swatchable”, which means you have unique control of the colours that are used on your site. 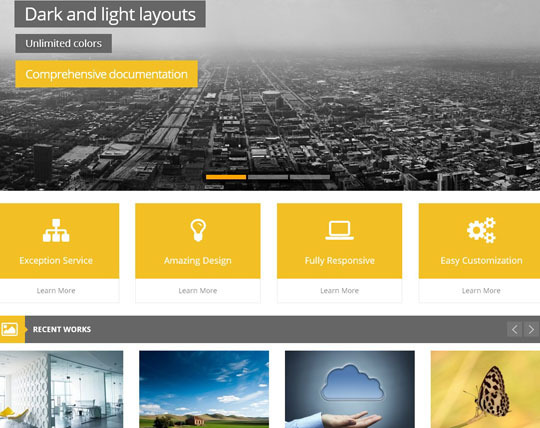 Nova is a flat and clean responsive wordpress theme with amazing features. 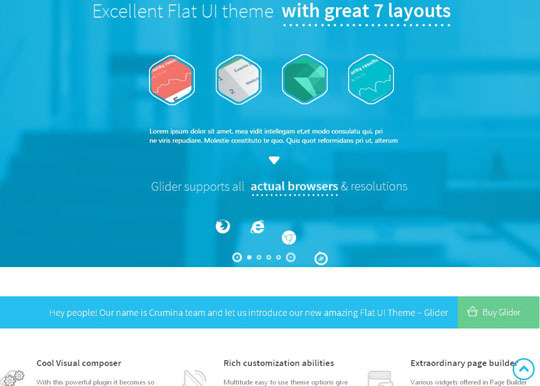 Whether you need a large professional corporate site or a small entertaining blog, or want to create an informative magazine – our multi-functional ultra-modern Glider theme will fit all sites purposes.Its multiple easy to use options and features allow you to build and organize your content the way you want. 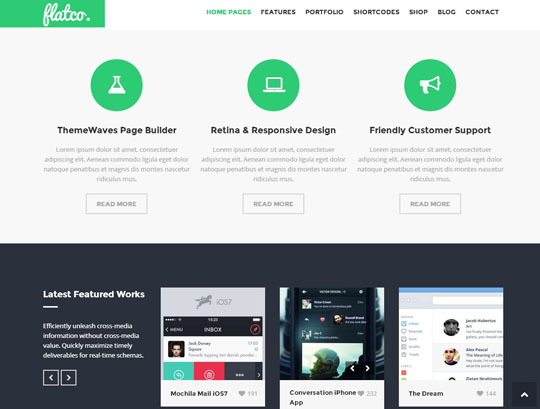 Flatco is a multipurpose flat styşe responsive wordpress themes.It mas many useful features like custom page builder and shorcodes.Here are some other shortcodes. 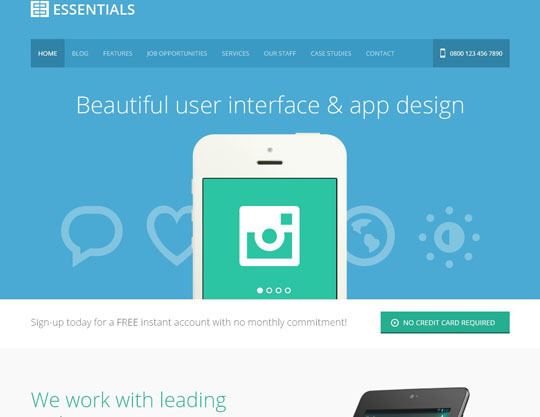 Business Essentials was written from the ground up with the modern business in-mind. From the elegant, clean and easy to read text, to the various fully featured page templates including staff, careers, home, and case studies your site looks gorgeous on a big screen all the way down to mobile with it’s responsive design. Retina Ready using retina.js included…. 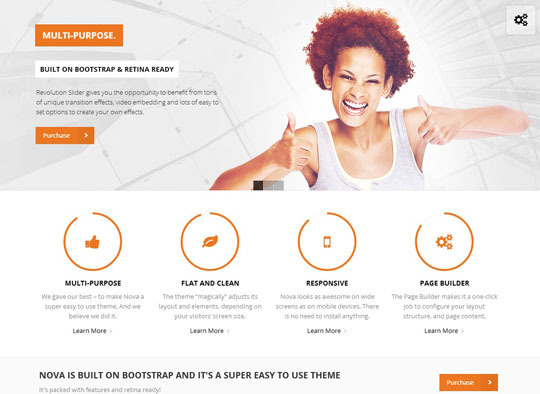 6 Post formats: Standard, Gallery, Video, Audio, Link, Quote Sequence slider & Flexslider…. 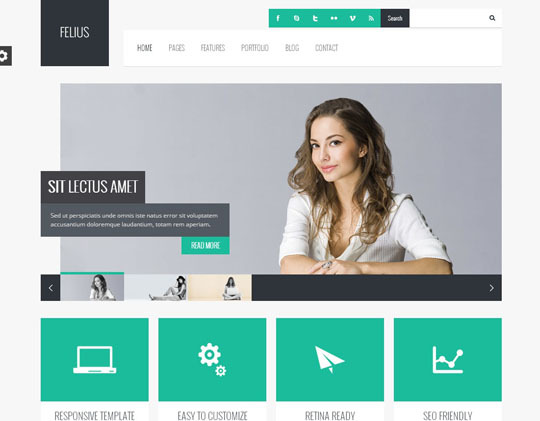 Alcatron is a multipurpose responsive wordpress theme with advanced admin customization and unlimited slider support. Designy is a design led business wordpress theme.Good for everyone: Portfolio, Marketing, Business, Corporate, Creative, Blog – there are so many options the possibilities are endless. 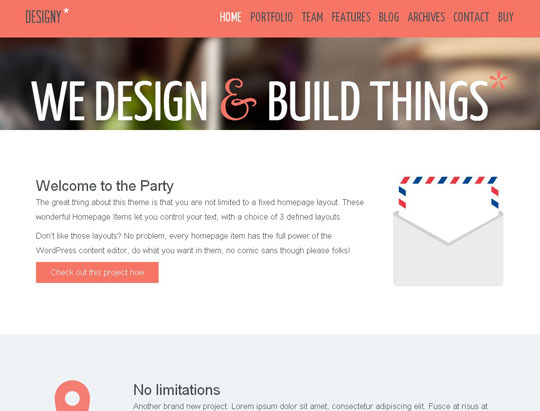 Fully fluid design, which goes up to 1200px wide! Centy is a retina ready responsive wordpress theme with so many useful features like 4 portfolio layouts with front end column switcher. 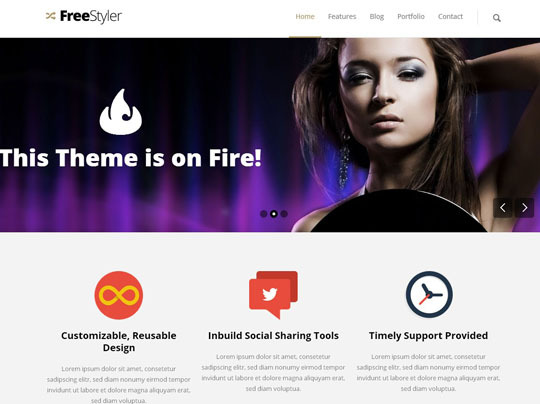 Freestyler is a responsive and retina ready multipurpose WordPress theme suitable for business, portfolio or personal blog usage for including various page templates with rich styling elements and unique features as Revolution Slider, multi-grid portfolio, retina icons, blogs and various content variations. Masonry Blog / Portfolio with “Load More” functionality or pagination…..
really beautiful collection man, thanks for giving your time for this.